Scion Seat Covers. Aftermarket Leather Seat Covers for Scion FRS, tC, xA, xB & xD. Choose from Scion Seat Covers by Clazzio. Available in numerous color Leather Seat Inserts, Stitch Colors & Patterns & More. Show Quality Scion Seat Covers. 05-10 Scion tC Seat Covers. 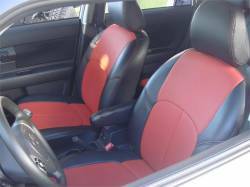 Leather Seat Covers for Scion tC. Choose from Multiple Leather Color Inserts, as well as Stitch Color and Patterns. 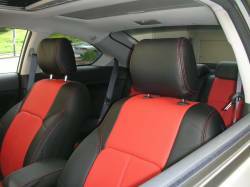 Scion tC Leather Seat Covers by Clazzio are now available. Excellent Fitment and Best Quality. 04-06 Scion xA Seat Covers. Leather Seat Covers for Scion xA. Choose from Multiple Leather Color Inserts, as well as Stitch Color and Patterns. 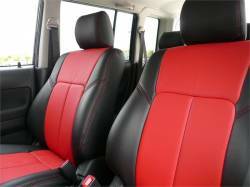 Scion xA Leather Seat Covers by Clazzio are now available. Excellent Fitment and Best Quality. 04-06 Scion xB Seat Covers. Leather Seat Covers for Scion xB. Choose from Multiple Leather Color Inserts, as well as Stitch Color and Patterns. 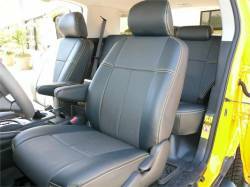 Scion xB Leather Seat Covers by Clazzio are now available. Excellent Fitment and Best Quality. 08+ Scion xB Seat Covers. Leather Seat Covers for Scion xB2. Choose from Multiple Leather Color Inserts, as well as Stitch Color and Patterns. Scion xB2 Leather Seat Covers by Clazzio are now available. Excellent Fitment and Best Quality.